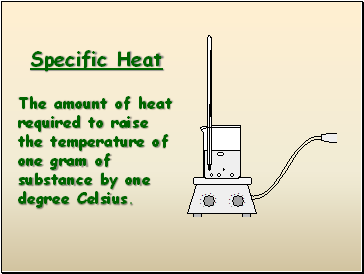 The energy that must be absorbed in order to convert one mole of solid to liquid at its melting point. 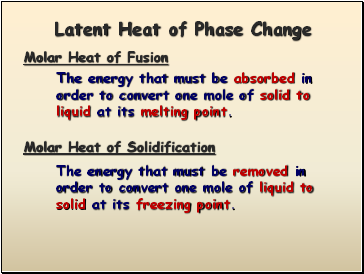 The energy that must be removed in order to convert one mole of liquid to solid at its freezing point. 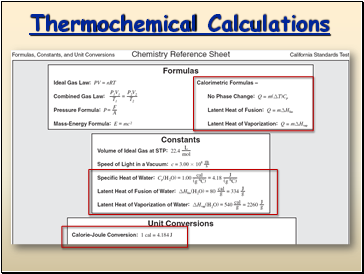 The energy that must be absorbed in order to convert one mole of liquid to gas at its boiling point. 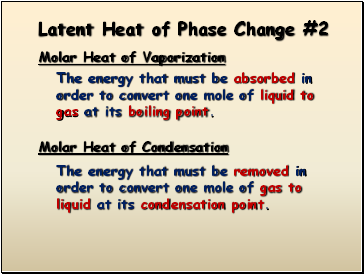 The energy that must be removed in order to convert one mole of gas to liquid at its condensation point. 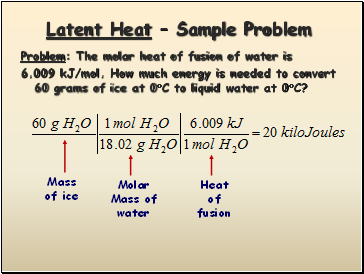 6.009 kJ/mol. 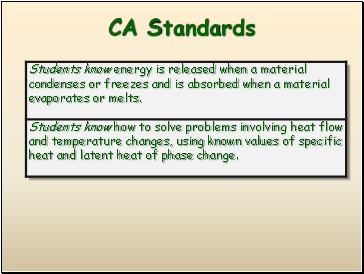 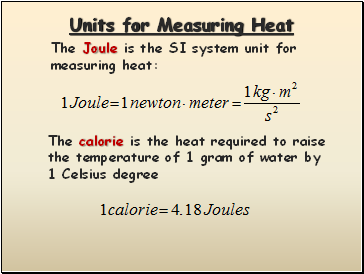 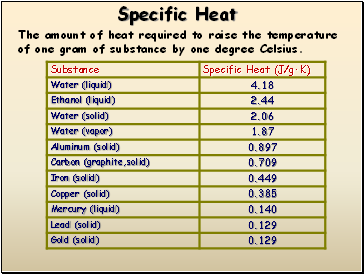 How much energy is needed to convert 60 grams of ice at 0C to liquid water at 0C? 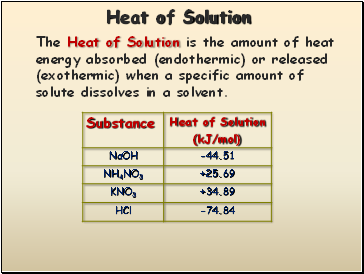 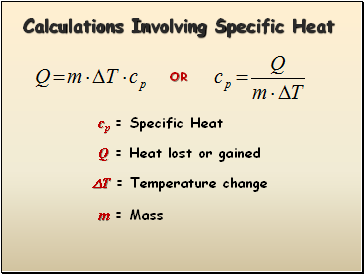 The Heat of Solution is the amount of heat energy absorbed (endothermic) or released (exothermic) when a specific amount of solute dissolves in a solvent.